Adirondack center Kris Newbury has been suspended for four (4) games, Adirondack goaltender Cal Heeter has been suspended for three (3) games, Adirondack left wing Zack FitzGerald has been suspended for two (2) games, Adirondack center Ben Holmstrom has been suspended for one (1) game, Adirondack left wing Tye McGinn has been suspended for one (1) game and Portland right wing Kyle Hagel has been suspended for two (2) games as a consequence of their actions. Newbury will miss Adirondack’s games Friday (Feb. 21) vs. Albany, Saturday (Feb. 22) vs. Bridgeport in Philadelphia, Feb. 28 at Utica and Mar. 1 at Syracuse. Heeter will miss Adirondack’s games Friday (Feb. 21) vs. Albany, Saturday (Feb. 22) vs. Bridgeport in Philadelphia and Feb. 28 at Utica. FitzGerald will miss Adirondack’s games Friday (Feb. 21) vs. Albany and Saturday (Feb. 22) vs. Bridgeport in Philadelphia. Holmstrom and McGinn will miss Adirondack’s game Friday (Feb. 21) vs. Albany. Hagel will miss Portland’s games tonight (Feb. 18) vs. St. John’s and Saturday (Feb. 22) at Manchester. SPRINGFIELD, Mass. 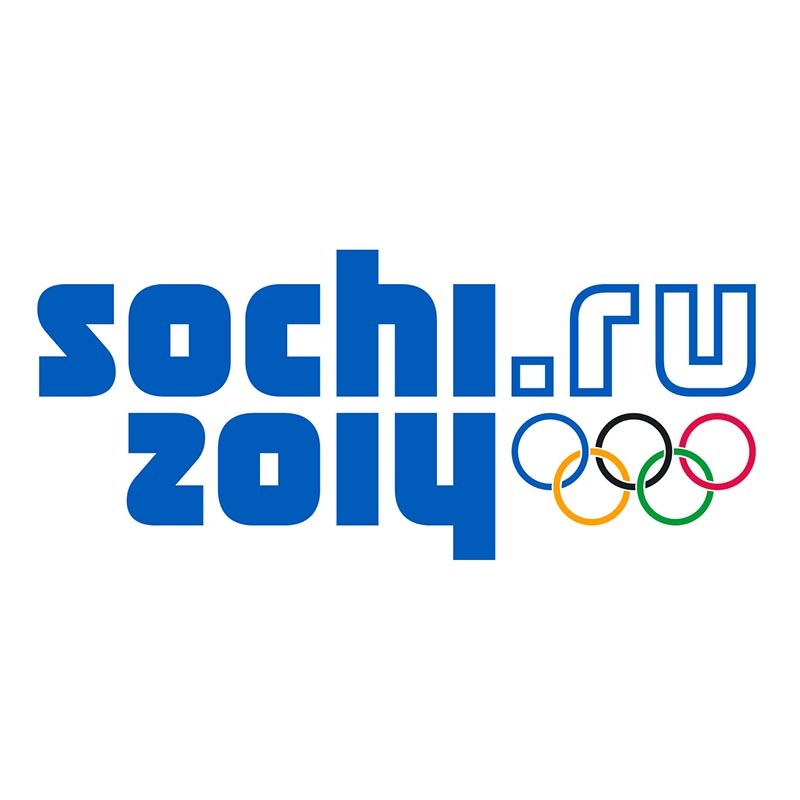 … With the 2014 Olympic Winter Games just over a month away, 149 former and current American Hockey League players have been selected to represent their countries in Sochi, Russia. The 25-man rosters of all 12 teams in the men’s ice hockey tournament, which begins Feb. 12, have been announced. The United States boasts a tournament-high 18 AHL graduates, while Canada’s roster includes 17 AHL alumni. The Czech Republic, Finland and Slovakia also show 17 graduates each, followed by Sweden (13), Latvia (12), Switzerland (12), Russia (nine), Austria (eight), Norway (seven) and Slovenia (two). The complete list of alumni follows this release. A total of 33 former AHL All-Stars have been named to Olympic rosters, including Ryan Callahan, Dustin Brown, John Carlson, Zach Parise, Ryan Kesler, Jimmy Howard and Ryan Miller from Team USA and P.K. Subban,Chris Kunitz, Patrice Bergeron, Jay Bouwmeester and Patrick Sharp for Canada. Tomas Plekanec and Patrik Elias(Czech Republic); Mikko Koivu and Tuukka Rask (Finland); Mats Zuccarello (Norway); Artem Anisimov and Slava Voynov (Russia); Zdeno Chara and Jaroslav Halak (Slovakia); Niklas Kronwall and Jonathan Ericsson (Sweden); and Nino Niederreiter (Switzerland) were also All-Stars during their AHL careers. Thirteen former Calder Cup champions are headed to Sochi, including playoff MVP’s Tomas Tatar (Slovakia, 2013) and Carey Price (Canada, 2007). Tomas Jurco (Slovakia, 2013), Radko Gudas (Czech Republic), Ondrej Palat (Czech Republic), Richard Panik (Slovakia), Kaspars Daugavins (Latvia), Roman Wick (Switzerland), John Carlson (United States), Ondrej Pavelec (Czech Republic), Sami Lepisto (Finland), Patrick Sharp (Canada) and Jeff Carter (Canada) are also former league champions in the AHL. Among the 149 alumni are nine players who have skated in the American Hockey League this season: Finnish defenseman and 2013 First Team AHL All-Star Sami Vatanen (Norfolk); Austrian forward Michael Raffl(Adirondack); Slovak forward Tomas Jurco (Grand Rapids) and defenseman Martin Marincin (Oklahoma City); Swiss goaltender Reto Berra (Abbotsford), defenseman Yannick Weber (Utica) and forward Simon Moser(Milwaukee); Latvian goaltender Kristers Gudlevskis (Syracuse); and Norwegian defenseman Henrik Odegaard(Chicago). AHL experience will be found behind Olympic benches as well. Peter Laviolette, who won a Calder Cup as head coach of the Providence Bruins in 1999, and Todd Richards, who coached the Wilkes-Barre/Scranton Penguins to a berth in the Finals in 2008, will serve as assistants under former AHL player and coach Dan Bylsma for the United States. Former AHL head coach Mike Babcock will guide Canada’s Olympic team, assisted by 2003 AHL coach of the year Claude Julien and former AHL player Lindy Ruff. Other notable AHL alumni at the 2014 Olympics will include standouts such as Thomas Vanek (Austria), Roberto Luongo (Canada), David Krejci (Czech Republic), Antti Niemi (Finland), Fedor Tyutin (Russia), Erik Karlsson(Sweden), Mark Streit (Switzerland), 2012 Conn Smythe Trophy winner Jonathan Quick (United States) and 2011 NHL MVP Corey Perry (Canada). In addition, AHL linesmen Chris Carlson, Tommy George, Jesse Wilmot and Chris Woodworth have been selected to officiate in Sochi. Every now and then we run into a rare sight on the ice and it makes for an interesting post. Today we came across a video featuring an AHL referee recording a game with an HD Go Cam on his helmet. And below is an 10 minute video of the action. The game featured the Rockford Ice Hogs and the Charlotte Checkers. SPRINGFIELD, Mass. … The American Hockey League and Sportsnet, entering the third year of a five-year relationship, announced today thatSportsnet will deliver a 10-game package of regular-season AHL broadcasts during the 2013-14 season. 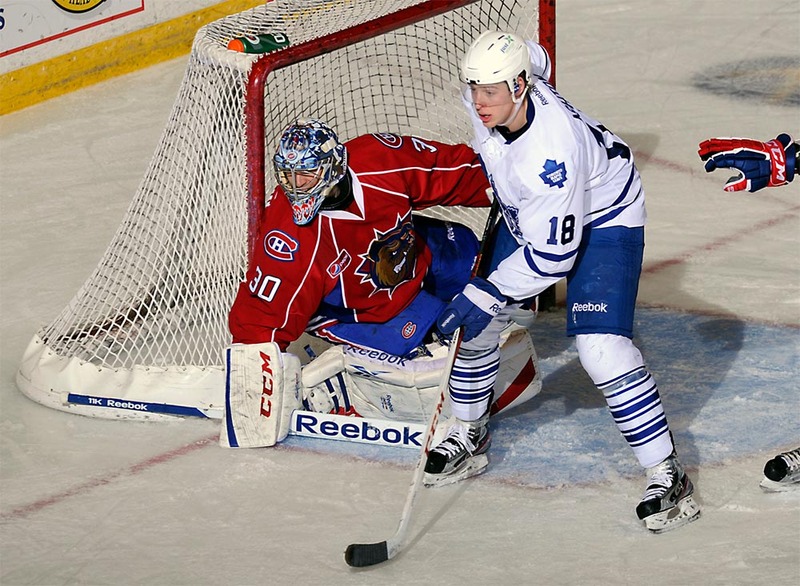 Sportsnet 360 will broadcast 10 AHL games in Canada on consecutive Sundays beginning Feb. 9. The games will also be seen on NHL Network in the United States. The schedule features appearances by top affiliates of five Canadian NHL teams: the Toronto Marlies (Toronto Maple Leafs), Hamilton Bulldogs (Montreal Canadiens), Utica Comets (Vancouver Canucks), Oklahoma City Barons (Edmonton Oilers) and Abbotsford Heat (Calgary Flames). The Lake Erie Monsters (Colorado Avalanche) also appear on the Sportsnet schedule. In addition to the 10-game regular-season package, Sportsnet will broadcast two-day coverage of the 2014 AHL All-Star Classic as a team of American Hockey League All-Stars takes on the Swedish Hockey League’s Färjestad BK in a Skills Competition and All-Star Game in St. John’s, N.L., Feb. 11-12, both on Sportsnet ONE. The American Hockey League, which is now in its 78th season of play, continues to serve as the top development league for the players, coaches, managers, executives and broadcasters of all 30 National Hockey League teams. More than 87 percent of NHL players are American Hockey League graduates, and for the 12th year in a row, more than 6 million fans attended AHL games across North America in 2012-13. Through the years, the AHL has been home to more than 100 future members of the Hockey Hall of Fame, including legends such as Johnny Bower, Andy Bathgate, Gerry Cheevers, Larry Robinson, Patrick Roy and Brett Hull. Since the Grand Rapids Griffins won the Calder Cup Finals over the Syracuse Crunch, the AHL has undergone some serious changes. Unfortunately I have not done a great job at covering them since some took place during the last playoff stretch and some took place during the beginning stages of the NHL off-season during the draft and NHL Free Agency. The following is a list of changes to the American Hockey League heading into the 2013-2014 season which starts in early October. 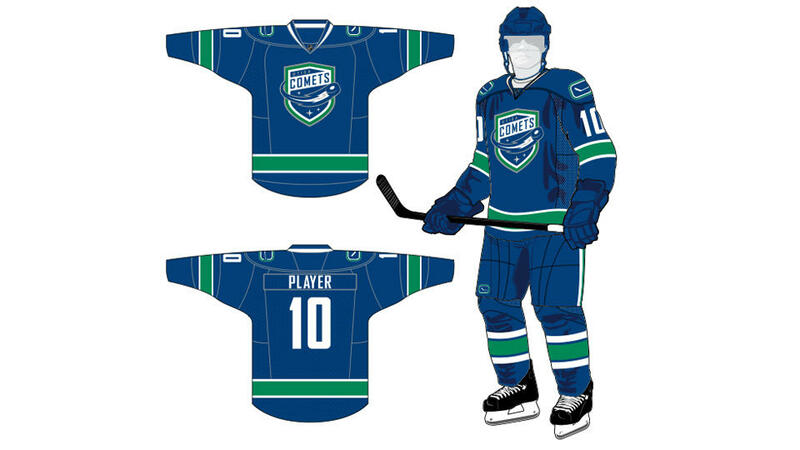 The Peoria Rivermen became the Utica Comets and they will be an AHL affiliate of the NHL’s Vancouver Canucks. 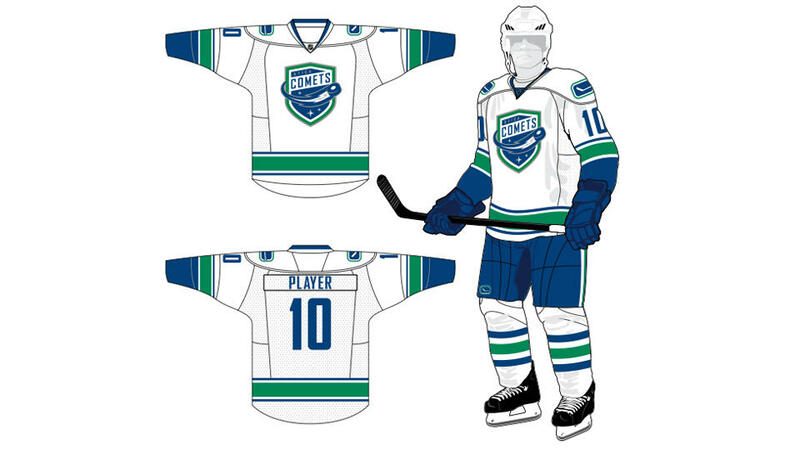 The Comets will don uniforms that closely look like Vancouver’s look. 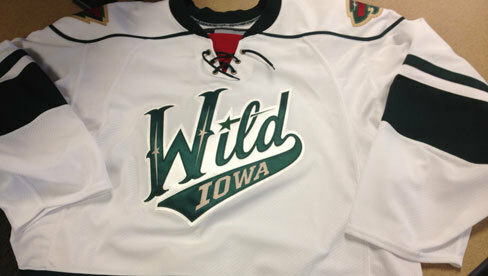 You can check out the following image for a look at the Comets style coming into the season. In addition to the Comets, another team changing names is the Connecticut Whale. The Whale will go back to being called the Hartford Wolf Pack. The Wolf Pack were re-branded to the Whale by former Hartford Whalers owner Howard Baldwin in what was a business relationship with the NHL’s New York Rangers. Baldwin named them the Whale in attempt to drum up support for a possible return of a team to Hartford by the NHL. And three years later it appears to closer to happening than it did back in 2010 when the deal was made. 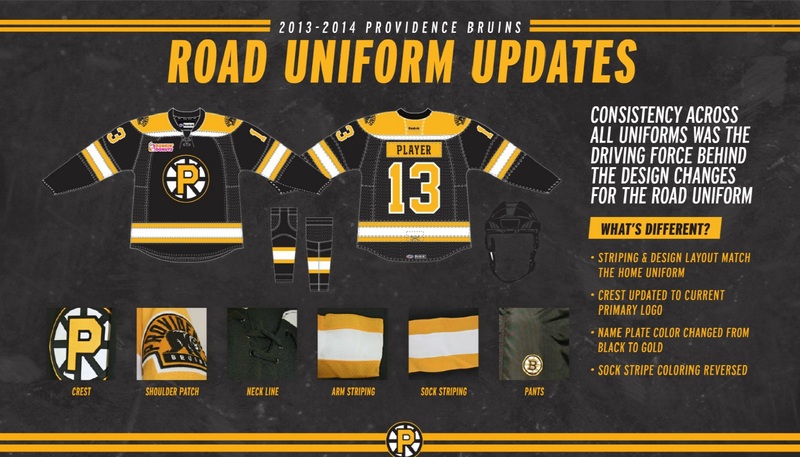 Providence’s new jerseys are confirmed to be in NHL 14. 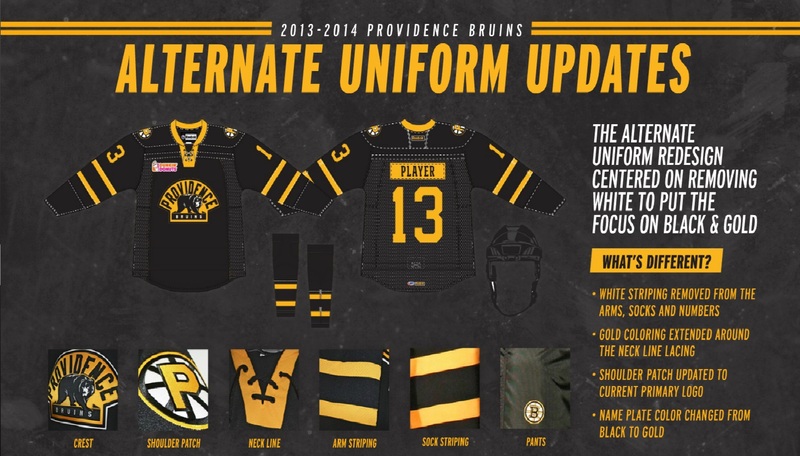 All the new threads should be in NHL 14. That is all for now. With the AHL season expected to start in about a month and a half, there is not much longer to wait for hockey to return. With the NHL set to drop the puck on October 1st, that takes us to six weeks away from the regular season starting, with preseason is slated to start in mid September for most teams. 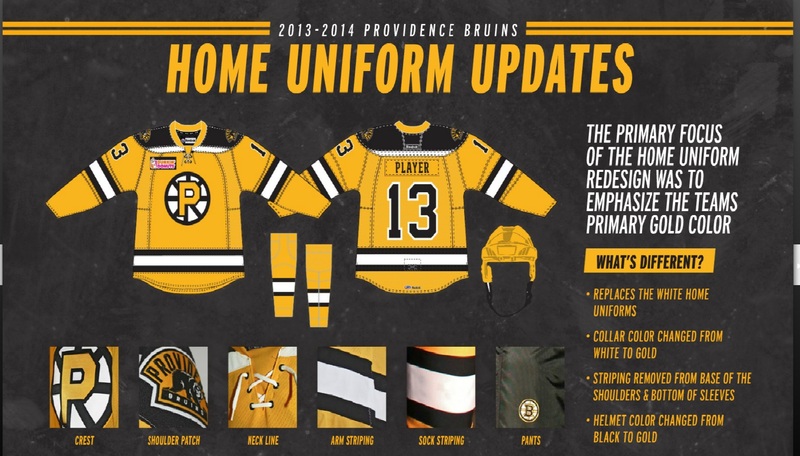 The Providence Bruins unveiled their new updated new jerseys. The gold will be the home uniform, and the black jersey with the secondary logo is the alternate for home. They also changed their road to have a gold name plate and a gold stripe that replaces the yellow stripe. EA also confirmed to be via Facebook that the uniforms will make it into NHL 14. Image below. The Rochester Americans and the Lake Erie Monsters will do battle on Friday December 13th outdoors as part of the Frozen Frontier Festival which aims to celebrate hockey in the Rochester, New York area. Below is details on the events to take place that week. 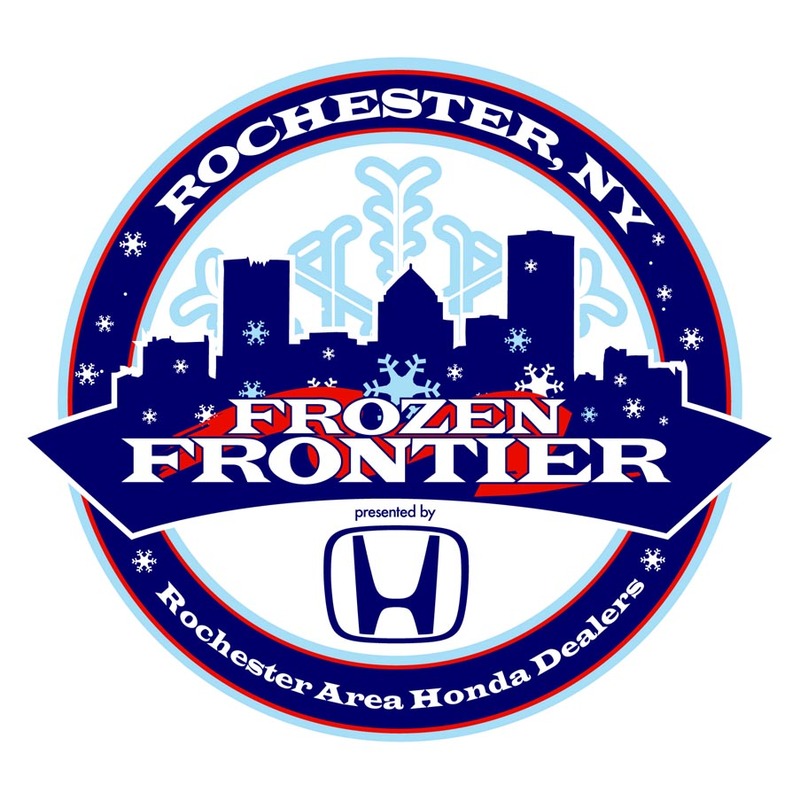 The Rochester Americans announced today the details of the Frozen Frontier presented by Rochester Area Honda Dealers, an outdoor hockey festival taking place at Frontier Field this December 13-22. It was also announced that the Lake Erie Monsters will be the Amerks’ opponent in their regular-season outdoor game at Frontier Field on Friday, Dec. 13. Rochester’s opponent for the game, the Lake Erie Monsters, are based in Cleveland, Ohio, a city with a rich history in the American Hockey League and a long-standing rival of the Amerks. The Cleveland Barons were an original AHL franchise and went on to win nine Calder Cup championships. The Amerks and Barons twice met in the Calder Cup Finals, with Cleveland winning in 1957 and Rochester taking home the Cup in 1966. The current incarnation of professional hockey in Cleveland, the Lake Erie Monsters have been members of the AHL since 2007. Tickets for all Frozen Frontier events will go on sale Saturday, Sept. 21, at the Frontier Field box office. Tickets will not be available for purchase at the Blue Cross Arena. Following Sept. 21, tickets for all Frozen Frontier events will also be sold at all area Wegmans locations and online at Tickets.com. Both Amerks and Rochester Red Wings season tickets holders will have the opportunity to purchase tickets prior to the general public. Season seat holders for both clubs will be mailed order forms in the coming days with all ticketing information. Tickets for all Frozen Frontier events will be split into three different price levels: 200 level, 100 level and Limited View. Ticket prices for the Amerks game are as follows: $15 (Limited View), $25 (100 level) and $35 (200 level). All information regarding the Frozen Frontier, including ticketing, merchandise, food & beverage, sponsorship and much more, is now available by visiting www.frozenfrontier2013.com. Changes from last year’s alignment include Abbotsford moving to the renamed West Division, Iowa being placed in the Midwest Division and Utica being slotted in the North Division. The format for the 2014 Calder Cup Playoffs was also approved by the Board of Governors, and remains the same as 2013: Eight teams in each conference will qualify for the postseason, with the three division winners earning the top three seeds and the next five best teams in order of regular-season points seeded fourth through eighth. The conference quarterfinals will be best-of-five series; the conference semifinals, conference finals and Calder Cup Finals will be best-of-seven series. Teams will be re-ordered after the first round so that the highest-remaining seed plays the lowest-remaining seed. The playing schedule for the 2013-14 regular season, which begins Oct. 4, will be announced later this summer. 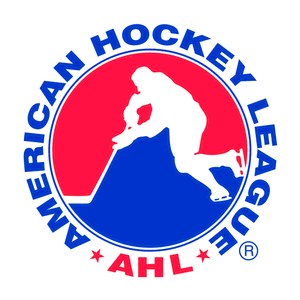 In operation since 1936, the AHL continues to serve as the top development league for all 30 National Hockey League teams. More than 87 percent of today’s NHL players are American Hockey League graduates, and for the 12th year in a row, more than 6 million fans attended AHL games across North America in 2012-13. The Griffins grabbed the lead, 2-1, on a power play with 7:19 to go in the period as Tatar banged home the rebound of aGustav Nyquist shot.